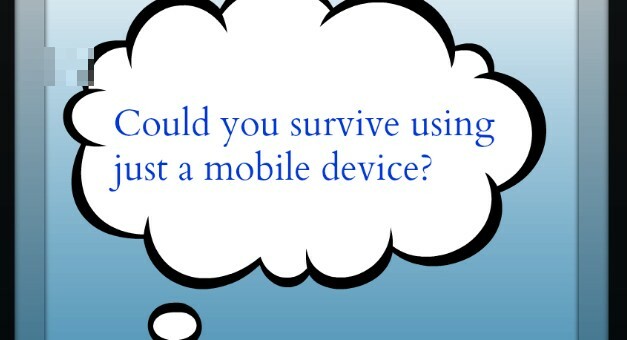 Taking Stock of your business using mobile devices. Taking stock of your business using your mobile device can save time, improve workflow and help employees be mobile. Some of the questions that I got asked yesterday were basic questions that a business owner with retail or even service providers face every day. These include tasks such as keeping track of stock, filling in forms, keeping a track of when employees come and go and many more. I am starting to fill out my own personal inventory of all my tech gear and resources for the business via one of the apps listed below. Managing a business remotely can be important for business owners and it’s no different for the Tech Coach. Yesterday proved that to me spending 5 hours on a train and needing to still run my business regardless. I find Skype valuable when I need to take calls and recently I have upgraded to have some Skype credit so I can ring mobile and landline numbers. http://profitablehospitality.com/news/index.php/kitchen-management/20-ways-an-ipad-can-improve-your-restaurant-cafe-hotel-or-bar Great article on how an iPad can improve the hospitality industry. 3. Create Invoices: Invoice2Go, Xero or some CMS’s have those features of creating Invoices. 5. Syncing Calendars (Informant Pro) or use Google Calendars and add respective calendars. 15. Cleaning Inventory for Hotels/Motels and Accomodation venues. So, will be working my way thru this list as part of researching. As I mentioned before, sometimes not one ‘app’ will solve it. For me, it’s always more than the technology, it’s the people that use it and make it easier for those around them. It’s enabling businesses to be able to be mobile, streamline processes and allow for innovation. 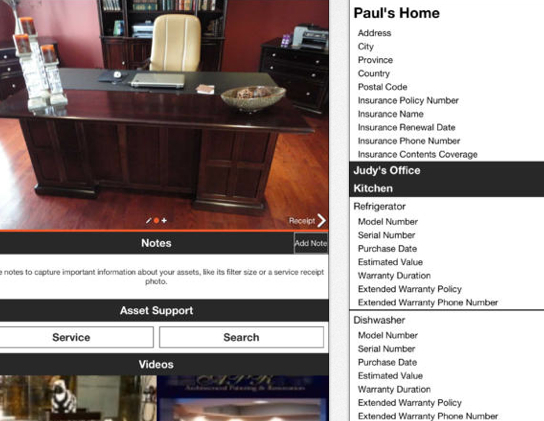 Encircle: Home Inventory This is a great app that lets you take pictures of different rooms and then catalogues what items are in that room. Great not only for records but also for insurance in case of damages. Two of the businesses that were present at this workshop were wineries. Here is some interesting ways iPads are being used in the winery industry (see website). This is another solution for wineries. An article on using iPads to improve efficiency in the cellar, a great read. As always, if I can do research I will find apps for both Android and iOS devices. Here is an article by UPS (on Forbes) that lists 5 inventory apps. 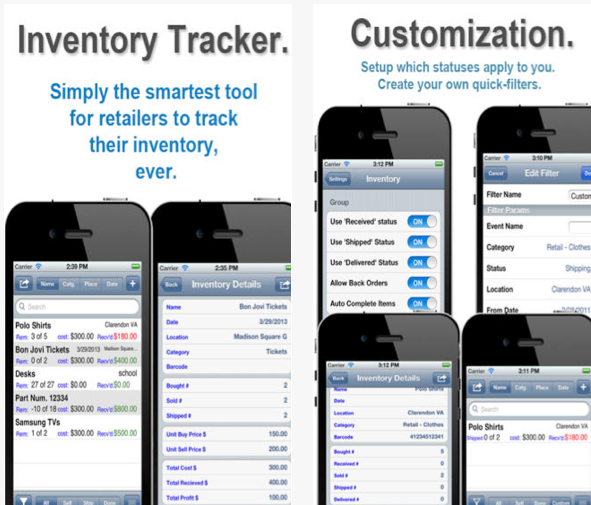 Inventory Tracker: has both Android and iOS options. 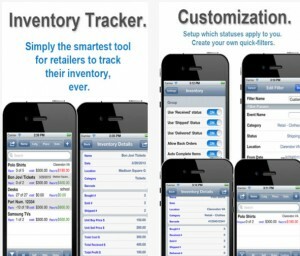 This app helps with tracking inventory, sales, payment, shipment and keeps track of stock on a weekly, monthly and yearly basis. On Shelf- Retail Inventory Manager: This app helps you optimise your inventory, helps view customer histories, helps you track items in stock. Xero (accounting software) has also partners that integrate with their software, click here for all the options possible. I can’t believe two weeks has gone quickly since I started this blog challenge, the time is going quickly. My focus has changed slightly..yes I am still using my iPad every day, but really wanted to share all the different ways a mobile device can be used in business. Over the next two weeks I will be looking at different industries and how they can implement mobile solutions. I will be attacking more of these in Day 16’s blog post. Remember to look at day 14’s blog post which was looking at the power of connection via social media on your mobile device.